No. 21. 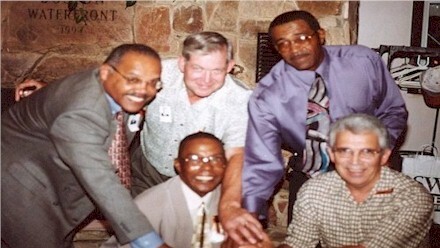 The 1962 Clairton High School Basketball Team attendees, L to R Abe Allende, Howard Rowan, Emanuel Belland, Roosevelt Boozer,Dom DiMattia. No. 22. 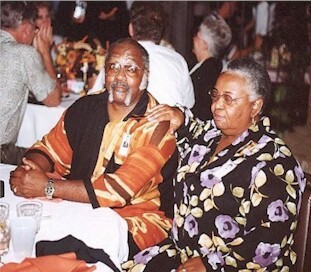 Charles "Bo" Webb and Helen Henderson. No. 23. 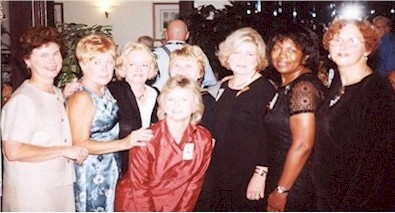 L to R Judy Jeffers Miller, Frances Brenner Scruggs, Beverly Bailey Alcorn, Janet Haramia Clelland, Diane Yates Slekar, Carol Parente Morrison, Joyce May Roberts, and Sandra Zoltun Paczkowski. No. 24. 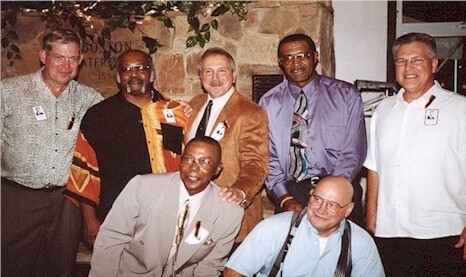 The 1962 Clairton High School Football Team, standing L to R Howard Rowan, Charled "Bo" Webb, Frank Gori, Emanuel Belland, and Jim Hipsky, Front Row L to R Roosevelt Boozer, and Bill Shaffer. No. 25. 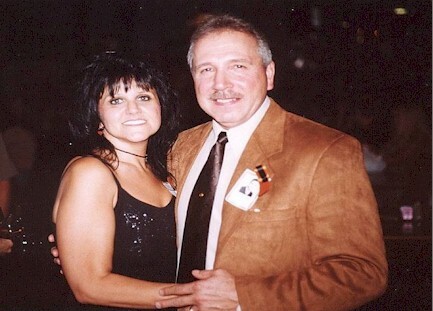 Mr. & Mrs. Frank Gori. No. 26. 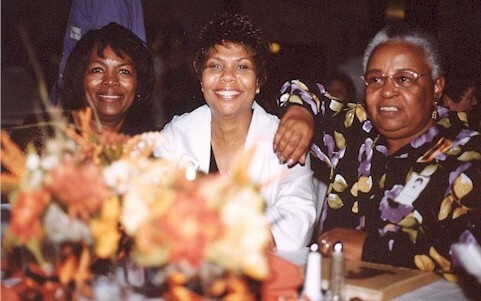 L to R Joyce May Roberts, Rosa Lee Wesson Walton, Roosevelt Boozer, Iva Jean Campbell Mahoney. No. 27. 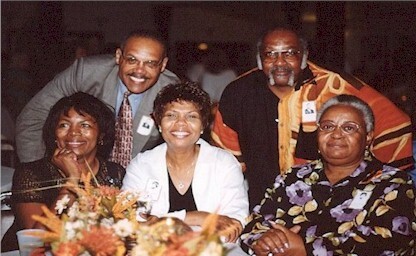 L to R Joyce May Roberts, Abe Allende, Rosa Lee Wesson Walton, Charles "Bo" Webb, and Helen Henderson. No. 28. 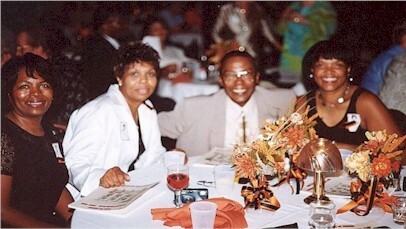 L to R Joyce May Roberts, Rosa Lee Wesson Walton, and Helen Henderson. No. 29. 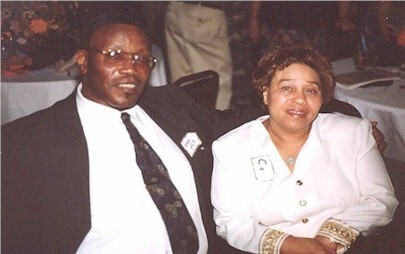 Rose Gaffney White and her husband.